Norwegian is now making it even easier for travellers to experience the Northern Lights, as a number of winter routes in the Arctic Circle return just in time for the start of the natural phenomenon. As well as direct routes from London Gatwick to Iceland and Tromso returning at the end of October, Norwegian has added additional frequency to the direct route to Finnish Lapland – giving passengers more choice and flexibility when travelling to experience the Aurora Borealis. Norwegian has increased frequency on the popular direct route from London Gatwick to Lapland’s capital Rovaniemi. Returning on the 30th October, the low-cost airline has added an additional weekly frequency on a Wednesday, perfect for passengers looking to experience the Northern Lights in Finland. Norwegian is the only UK airline to offer a direct flight to Lapland’s capital Rovaniemi, offering three-weekly flights, with fares starting from £39.90 one-way. 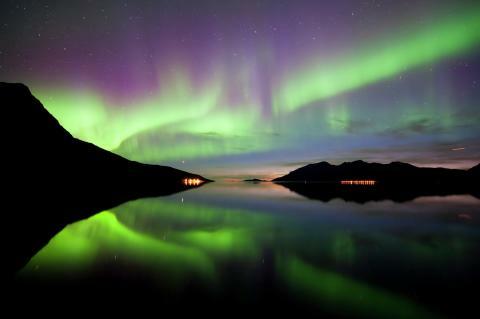 Head to the heart of Norway’s Artic Circle – Tromso to catch a glimpse of the natural wonder. Norwegian is the only airline in the UK to offer direct flights to Tromso with fares starting from £62.30 one-way. With three weekly direct flights departing on a Monday, Friday and Saturday – a weekend trip to experience the Aurora Borealis is now possible. From 31st October, Norwegian’s UK service to Reykjavik will return with three weekly flights operating throughout winter on Tuesday, Thursday and Saturday. Once in Iceland escape the city lights for the best chance to view the lights. 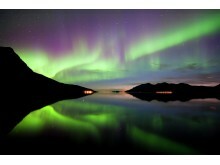 Brits can easily book a bargain break to the Icelandic city direct from London Gatwick, with fares from £29.90 one way. Norwegian carries more than 5 million UK passengers each year to over 50 global destinations. The airline has one of the youngest aircraft fleets in the world with an average age of 3.6 years, and more than 200 new aircraft on order. Short-haul flights are operated by a fleet of brand new Boeing 737 aircraft that will keep passengers connected in the skies with free inflight Wi-Fi. Norwegian has been awarded the ‘World's best low-cost long-haul airline’ for three consecutive years at the SkyTrax World Airline Awards. Fares are per person, per one-way flight and include all mandatory taxes and charges.